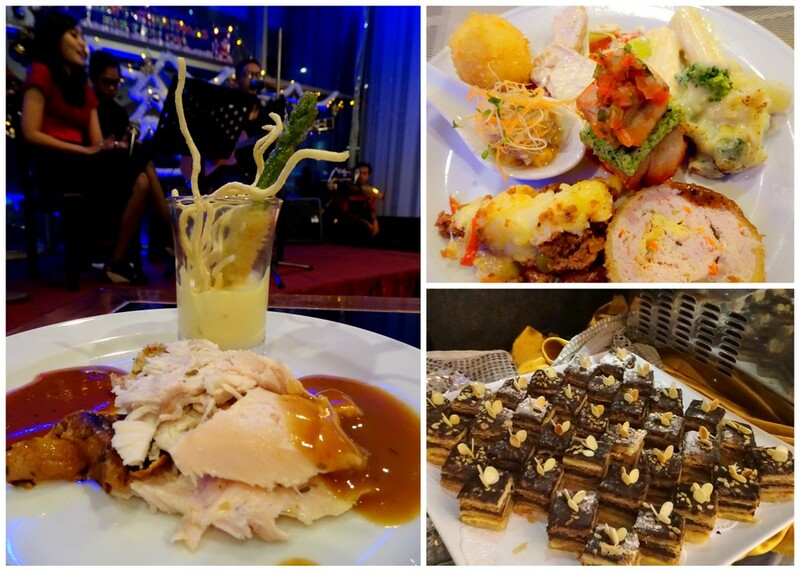 I celebrated 2016 Christmas in Jakarta. It was our first time celebrating Christmas away from home. The overall experience was not what I expected as hubby fell horribly sick on the second day of our holiday. We landed quite late a night in Jakarta airport. I was worried finding a taxi would be difficult but it turn out there was a limo taxi service right outside the departure lounge. 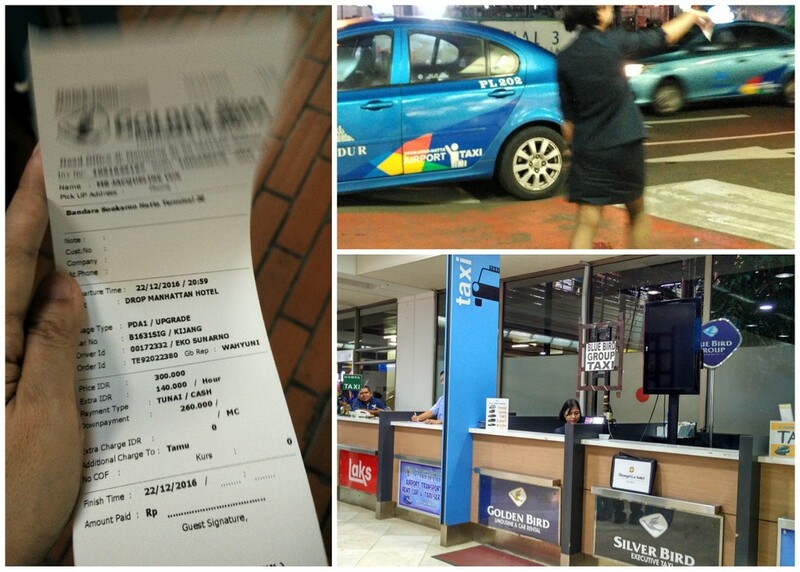 The price was not very cheap but it beats worrying about transport so late at night. We took the Golden Bird Taxi. The lady escorted us right up to our ride and we avoided being harassed by illegal drivers. For the next five nights, Hotel Manhattan was our home. 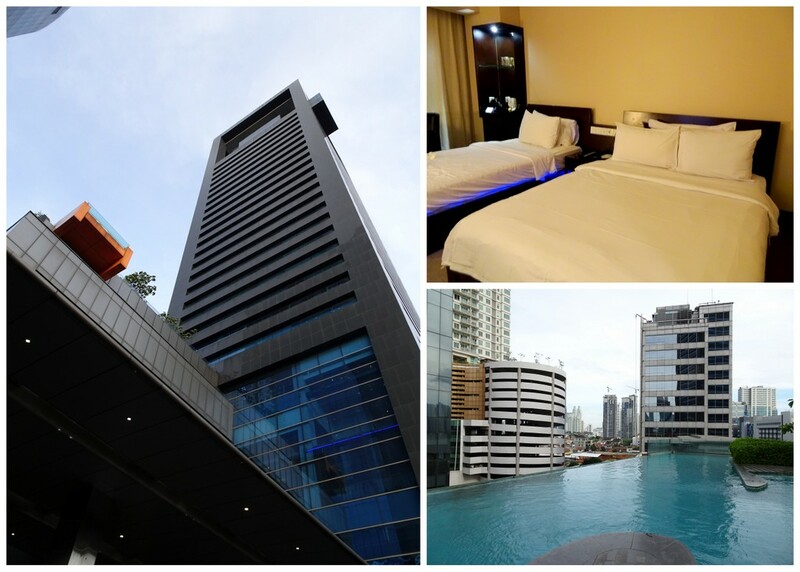 Hotel Manhattan is strategically located right beside Kuningan City Mall. We booked a three person executive room and it was quite spacious. The pool area was so windy most times that we ended up not swimming in it because it was too cold. Our rooms came with free breakfast. Their breakfast buffet was more than good. They have a wide range of choice each morning. One of the most memorable dish that I thought was really outstanding was their Rojak. I ordered this from their ala carte menu. 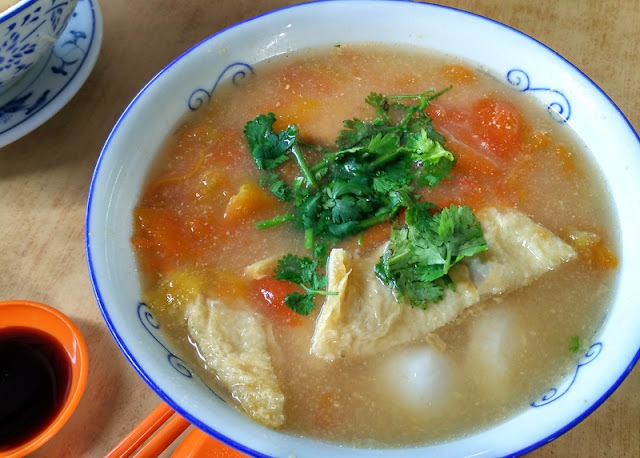 It was nicely stacked up with boiled vege at the bottom and keropok at the top. 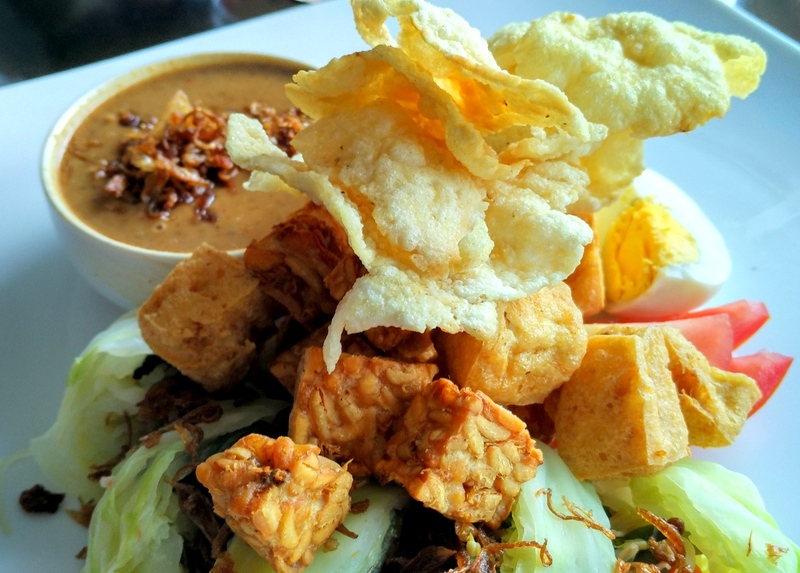 The Rojak peanut sauce was very simply delicious. 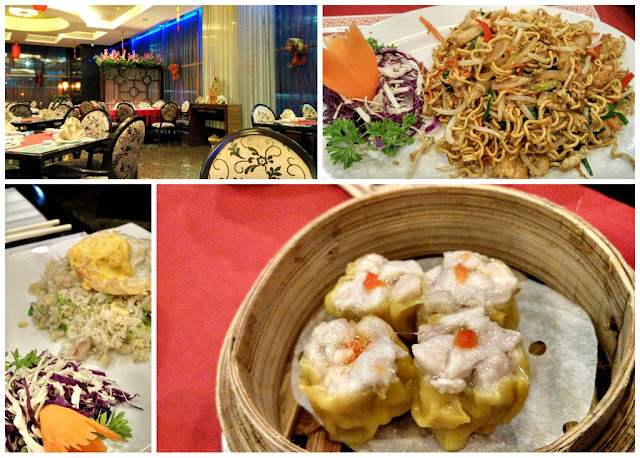 We also had one night of dinner at their Chinese restaurant which again was tasty and delicious despite being a simple dish of just fried rice and noodle. Of course the best was their Christmas Eve dinner buffet. The spread was amazing and we ate until we cannot. There was even a special band that serenaded us the whole evening. It would have been a wonderful night except poor hubby was taken ill that very night. 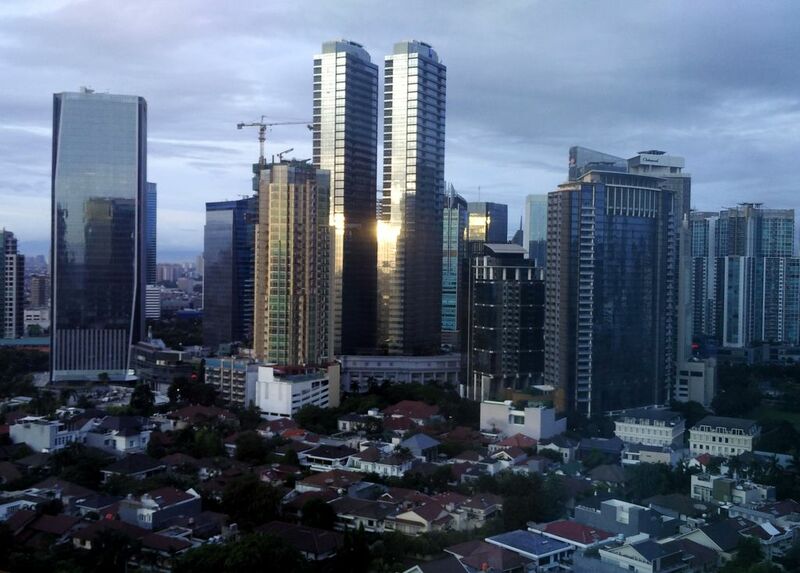 On Christmas day we ended looking around Jakarta for a 24 hour clinic. 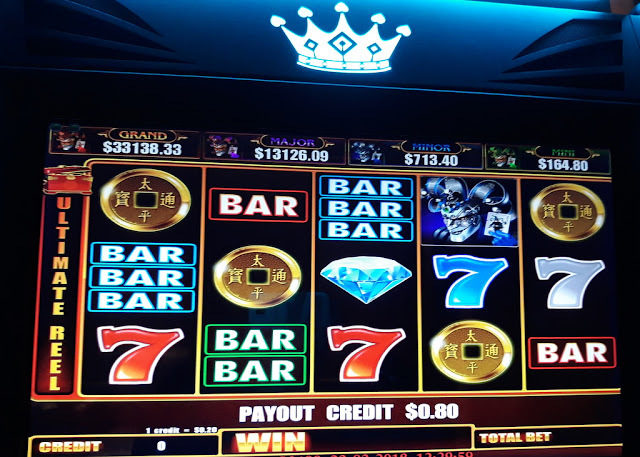 Luck for having google, it didn't take long to find one. 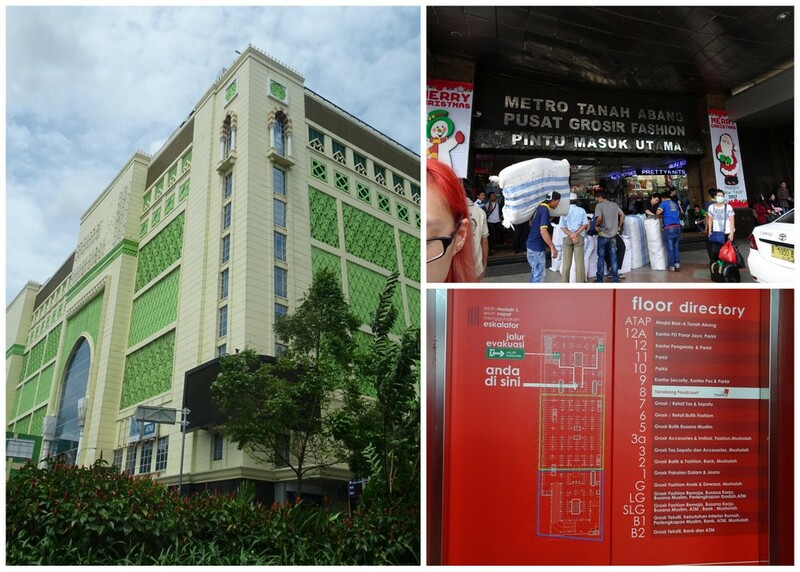 The first shopping mall we went to was Pasar Tanah Abang. This is a huge complex where you will find wholesalers of every kind. The prices are reasonable too. However the sellers will only allow you the offered price if you buy 3 of the same kind. The mall is like a complicated maze. You can get lost in there. Jakarta has plenty of modern malls but I was more interested in the local markets where the interesting stuff can be found. 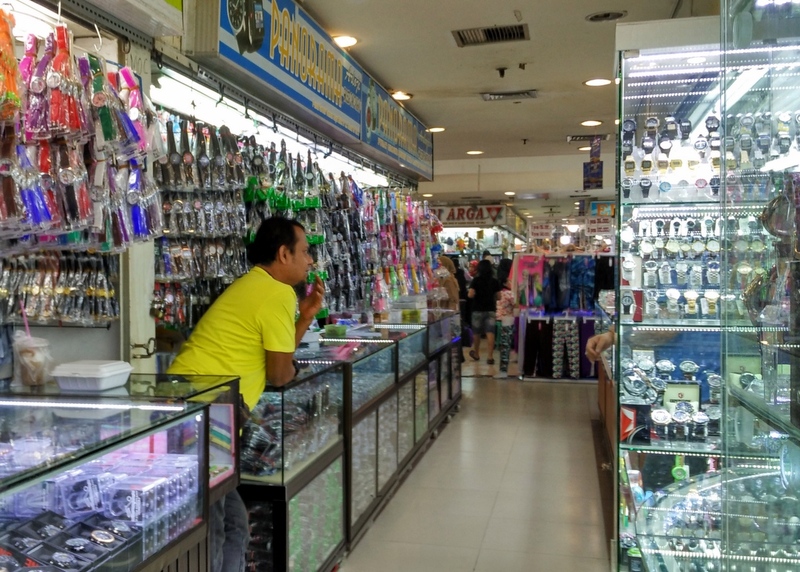 While browsing in Pasar Tanah Abang I noticed a few stalls selling imitation branded watches. Although a fake but the price were not very cheap. While dinning at the hotel restaurant, we asked one of the waiter where to find cheap watches. True enough, only the local can direct you to the right place. He told me to check out Pasar Senen. Our taxi dropped us off at Pasar Senen which looks like a local wet market and not what I was after. It turns out the place we were looking for was Pasar Senan Jaya which was on the other end of the same block. We had to ask for direction before getting to the right place. There was a whole floor specialized on selling watches. You can find every kind of brands with quality ranging from poor to the best. My first dilemma was choosing which store to buy my watches. The number of stores were uncountable. I ended up stopping at the most friendliest looking seller I can find. 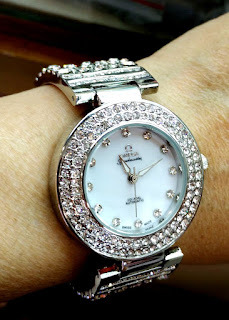 Then I started choosing the watch that I liked. Next comes the bargaining. Sadly to say two of the watches we bought were faulty and we only noticed it after returning home. Below is a photo of the faulty watch. 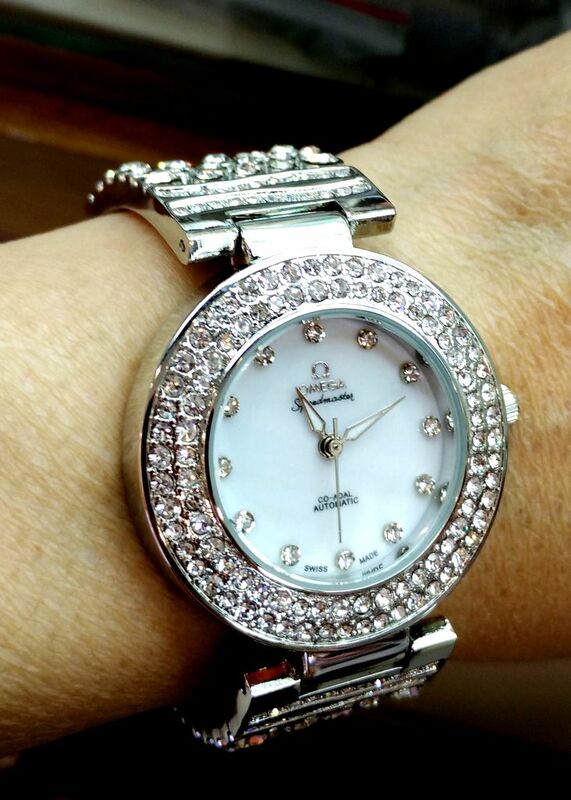 One of my favorite bling bling watch. On one of our last nights we stopped by Kafe Betawi a well known local franchise outlet to try out their Soto and Nasi Goreng. 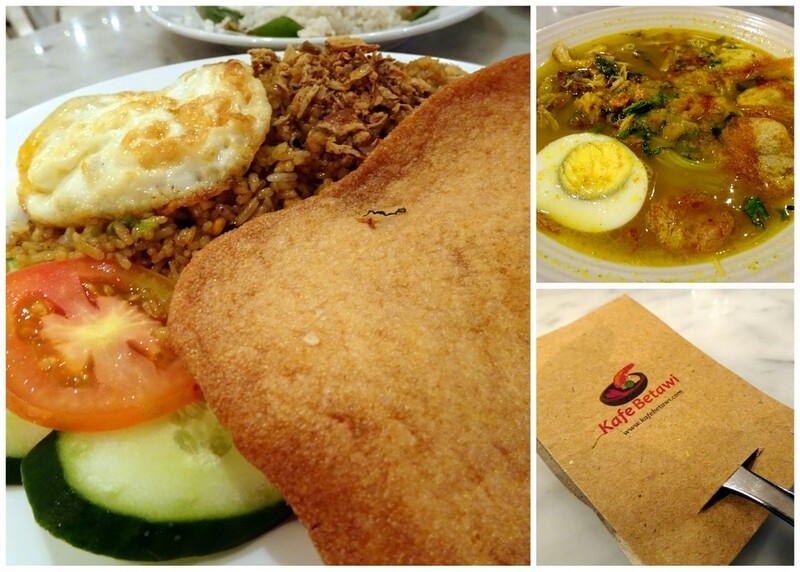 You cannot go home without trying one of the local favourites. Jakarta was never known to be a great place to come for holiday in first place what some more for as a Christmas holiday. However it was quite memorable for me. 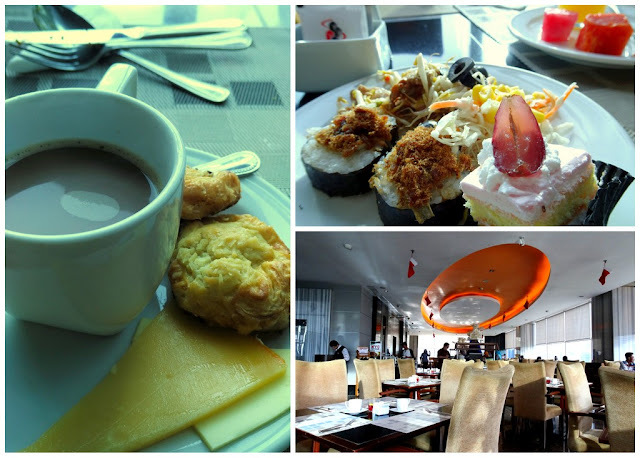 This holiday pace was more relax and I could focus more on the local things that happens in everyday life in Jakarta.